The prominent book of the famous ecclesiastical character, Patriarch of Constantinople Archbishop Maghakia Ormanian is published in English second time. In nearly 100 years break between these publications serious changes took place in the life of the Church that are reflected in annotations. 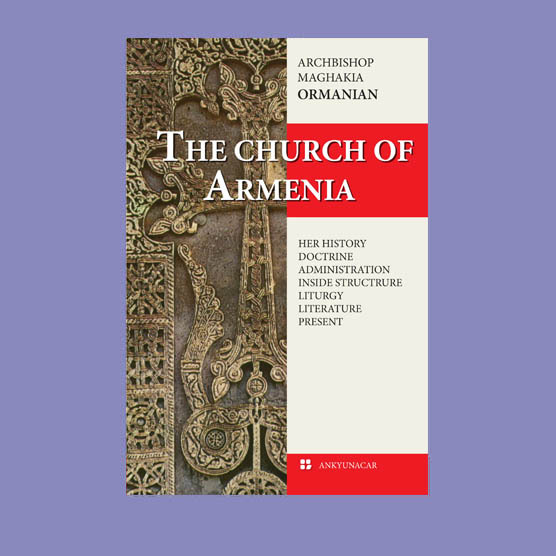 The book gives exact and general information about the Church of Armenia to the reader who wants to know better this old Oriental Church. The translation has been carried out by Margar Gregory, annottations by fr. Ghevond Mailyan.